Amour Natural Organic Jojoba Oil balances the skin’s oil production, and is useful for both oily and dry skin. 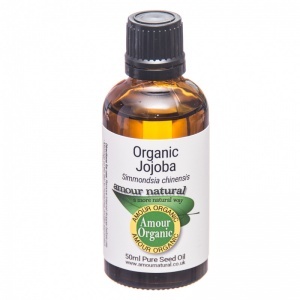 Similar to our own natural skin sebum, Jojoba oil is easily absorbed, without blocking pores. 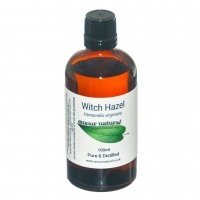 As a carrier oil for other skincare ingredients. Jojoba wax, which is most commonly referred to as jojoba oil, has a molecular structure very similar to human sebum, which is why it is very hydrating for the skin. It replenishes the sebum levels that naturally deplete with age and which results in skin become dry and wrinkled. So regular use of jojoba and other oils and butters can replace this depletion. The hydrating nature of jojoba oil also helps protect the skin's barrier, which protects the skin from environmental damage including UV light. As well as being very hydrating, jojoba is also suitable for congested skin, skin that is prone to blemishes and/or inflammation. This is because jojoba is non-comedogenic (doesn’t block pores). It actually helps to get rid of excess sebum that gathers round hair follicles and is associated with blemishes and acne. 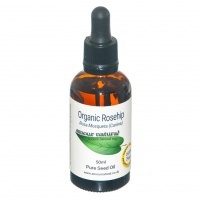 Due to the fatty-acid make up of jojoba oil, it penetrates into the deeper layers of skin. It can also take other oils with it, so it is great when used as a carrier oil for other ingredients, such as butters, flower waters and essential oils. It is a very stable oil so can help protect other less-stable ingredients, preventing premature-oxidation of a skincare product. 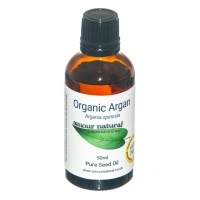 Ingredients: 100% pure Jojoba oil.